Experts in the design of process equipment for distillation, evaporation, hydrogenation, filtration and adsorption - Sequoia Global INC.
We are experts in the design of process equipment for distillation, evaporation, hydrogenation, filtration and adsorption, as applied to recycling of liquids such as used oils, waste fuels and industrial wastes. We make our technologies world class in robustness, ease of maintenance, energy efficiency, product qualities and yields. 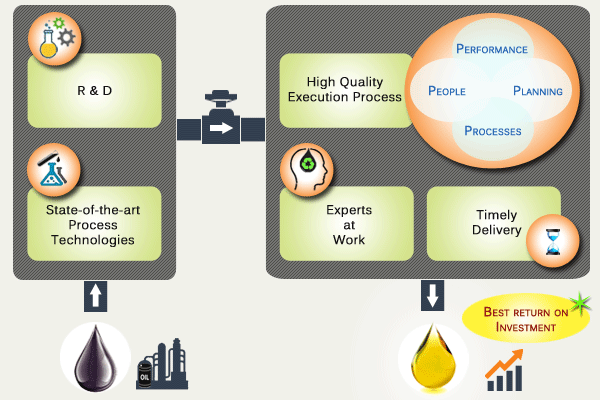 Sequoia applies well researched and proven process technology at the core of each application offered to the market. Sequoia has built a team of experts in the areas of detailed engineering and project management. Additionally, we have invested resources in developing precise equipment specifications and identifying vendors who supply these equipment. Sequoia has an active research and development program that aims to keep Sequoia and its customers ahead of their competition. This website and its content is copyright of Sequoia Global INC. © 2017. All rights reserved. No part of this content or the data or information included therein may be reproduced, republished or redistributed without the prior written consent of Sequoia Global INC. Use of this site is governed by our Disclaimer.